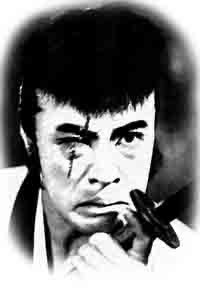 Deko-chan has passed away (here's one story), and with it, a brilliant life in cinema. Takamine Hideko was always one of my favorite Japanese actresses. As a child star, she was as adorable as could be, as a teenager, as cute as could be, and as an adult, as beautiful as could be. 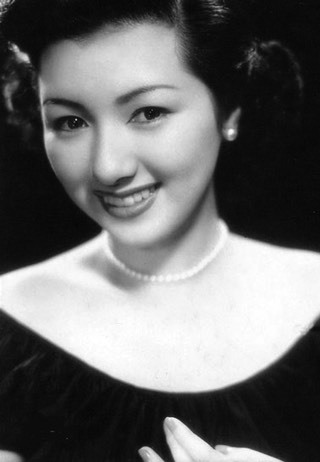 She was a remarkably versatile actress, one who quickly transitioned from precocious children in films by Ozu Yasujiro (Tokyo Chorus ), to cute girls in Makino Masahiro (Awa no odoriko or Hanako-san), to dramatic powerhouse in Yamamoto Kajiro (Tsuzurikata kyoshitsu or Uma) -- all before she even hit age 15. As an adult, she was most famous for the dramatic works of Kinoshita Keisuke (Twenty-Four Eyes ) and Naruse Mikio (When a Woman Ascends the Stairs ; her face at the end of Midareru is one of the most powerful visages in film history and graces the front page of Catherine Russell's The Cinema of Naruse Mikio ), but we should not forget her great talent for comedy (playing a stripper in Kinoshita's Carmen Comes Home or a conniving housewife in the satirical Fuzen no tomoshibi) and for singing (Ginza kankan musume). She seemingly could do everything, and do it with resolve and bright inner strength. After retiring as an actress, she even excelled as a witty essayist, publishing nearly a dozen books. I was glad to recently receive in the mail some excellent books on cinema from colleagues in Japan. They represent some of the best work being done on film or image theory, so I wanted to introduce them here. This is an anthology featuring some of my colleagues from the Japan Society of Image Arts and Sciences, including Yamada Kohei, Kondo Kojin, Toyohara Masatomo, Nagata Shozo, and Sasagawa Keiko. 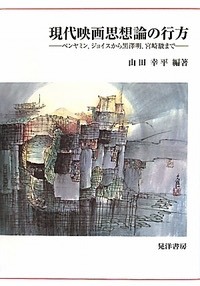 The book features essays on a wide variety of topics, including Benjamin, Joyce, Okamoto Kihachi, Ozu, Hanada Kiyoteru, Kurosawa Akira, Japanese art animation, Oshii Mamoru, Miyazaki Hayao, Woody Allen, Angelopoulos, Indian mythical cinema, and film music. You can order it through the Japanese Amazon . 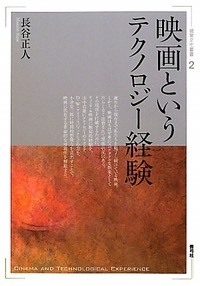 This is collection of some of the articles by a good friend at Waseda University, Hase Masato. (He is currently supervising the Japanese translation of my Visions of Japanese Modernity.) It starts with an archaeology of cinema focusing on the Lumiere Brothers and then continues thinking about technology through the films of Yamanaka Sadao, Makino Masahiro, Miyazaki Hayao, Howard Hawks, and Chaplin. Another section focuses on the issue of fiction, first from the perspective of censorship and then through D.W. Griffith. A final section considers the issue of time and memory in Ozu, Coppola, and others. One of the few in-depth, analytical essays on Aoyama Shinji in English was my essay in Yvonne Tasker's Fifty Contemporary Filmmakers (Routledge, 2002). Recently Routledge decided to put out a second edition, so I had the opportunity to not only update, but also improve the essay. The first time around I was given a strict word limit and probably did not succeed as well as I could have in accounting in that short space for not only his films but also his theoretical writings. A few years' distance and an understanding Yvonne, however, provided me with the room to better explain the complexity of his ideas. I was very thankful for the chance to rewrite it. This is definitely a better account of his work. 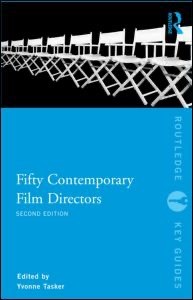 Finally the second edition is now available under the new title of Fifty Contemporary Film Directors . Check it out if you can. Update: I have made this article available on the Yale repository. I caught this piece of news via AmericaBlog (the original article is here). Apparently, the Sea Shepherd anti-whaling group is now going to confront Japanese whaling ships using a boat called Gojira, after the big lizard himself (whom I've written about in the In Godzilla's Footsteps anthology). Now, I have problems with whaling myself, and think Japan's pursuit of whaling through "scientific research" is a crock. And perhaps using the Godzilla name - especially the Japanese version of that name - is one way of really thumbing your nose at Japanese hypocrisy. But I was really disturbed when I saw the image that emblazons the new boat: it is not that of the Japanese Godzilla, but of the American remake from 1998. If it was the Japanese Godzilla, it could serve as a sly reminder that Godzilla does not attack Japan simply because it's a radioactive beast, but because it's a Japanese god that goes after Japan when it has somehow strayed from its natural path (or so intimates the old islander in the original film).